Taking inspiration from late Victorian design when ceramics were first used widely for lighting and door furniture, our Porcelain Finger Plates aim to provide you with a much-loved alternative to our traditional ironwork fixture and fittings. 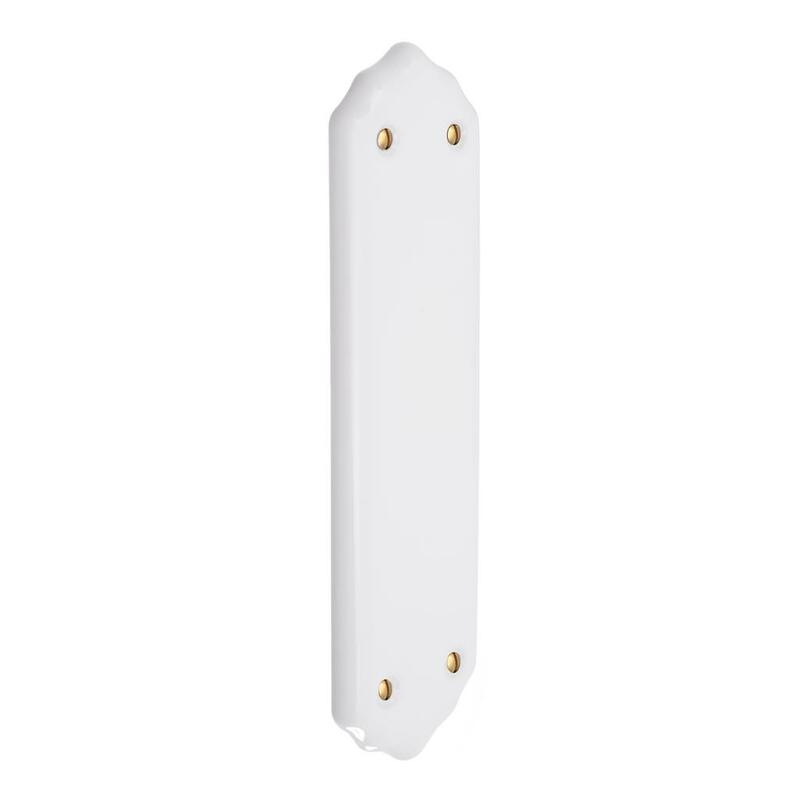 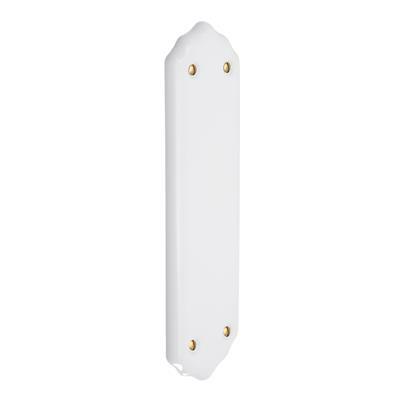 Available in black, while or cream, from our range of porcelain door fittings, these finger plates will bring a traditional touch and decorative interest to your scheme. 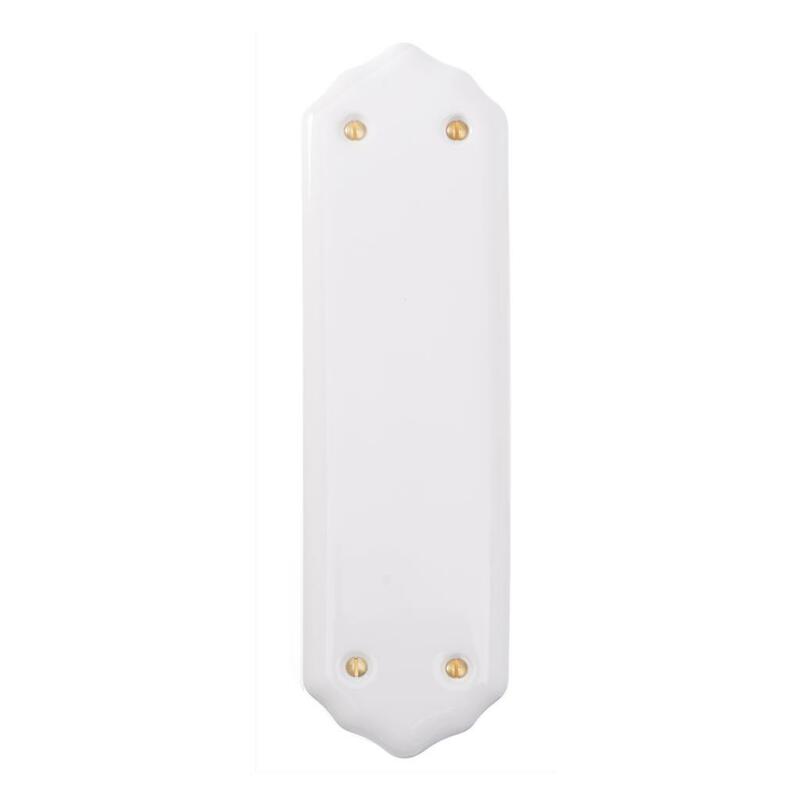 Team the white or cream plates with a similarly painted door to create a subtle, soft finish, or be bold with black to create a contrasting look. 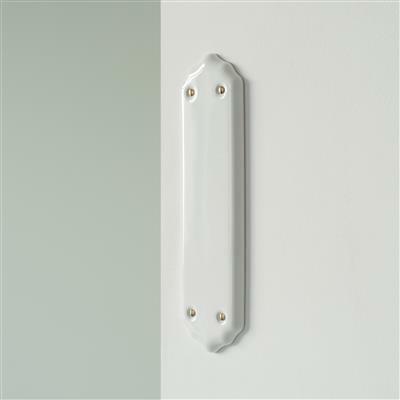 These finger plates are incredibly versatile, working well with any colourway and are an excellent choice for a period property or cottage interior. 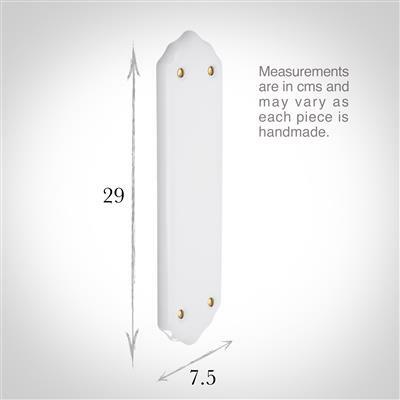 The Porcelain Finger Plate is 29cm high x 7.5cm wide and is 1cm deep.